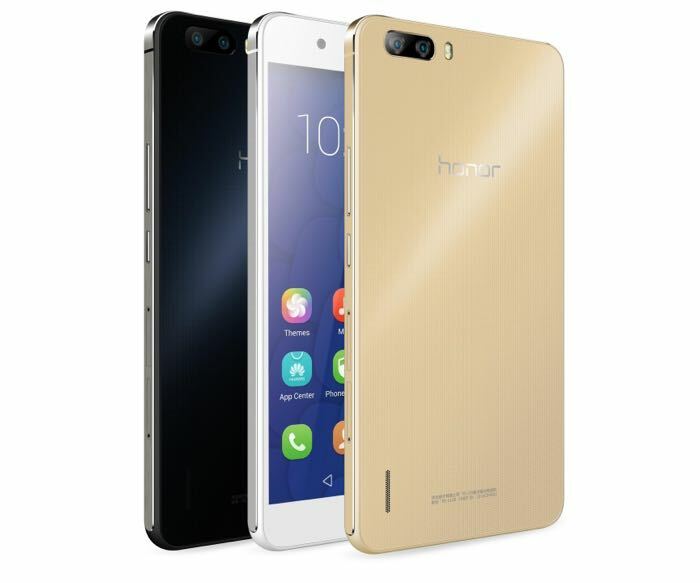 As well as the new Honor 4X the company has announced another new Android smartphone, the Honor 6+. The Honor 6+ comes with an eight core Kirin 925 processor (8+1 core) and 3GB of RAM, the handset also comes with 32GB of included storage, there is also microSD card slot for extra storage. Other specifications on the new Honor 6+ include a 5.5 inch Full HD display with a resolution of 1920 x 1080 pixels and the device comes with Android 4.4 KitKat. The handset features a total of three cameras, on the front of the device there is an 8 megapixel camera for Selfies and video calls and on the back there is a dual 8 megapixel camera which is capable of taking 13 megapixel photos. The handset also comes with a 3600 mAh battery and it will be available in three colors, white, black and gold. The new Honor 6+ will launch in the UK some time in quarter two, as yet there are no details on pricing.